Michigan's first, and one of only two, three-time All-Americans. Considered one of the greatest pass receivers of his era. 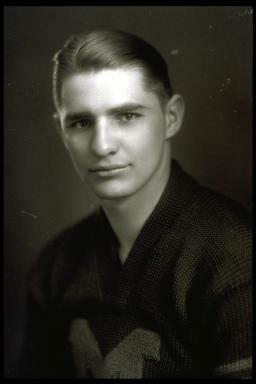 Chosen on the All-Time All-American team in 1951. Also a National Football Hall of Fame member with his team-mate Benny Friedman to join such other Wolverines preceding him as Snow, Heston, Schulz and Kipke. Named to Michigan Hall of Fame as well. One of the greatest all-around athletes in Big-Ten history, All-American in basketball and All-Conference in baseball as he won nine letters. With Friedman, formed one of football's foremost passing combinations. Later coached his Alma mater when the Wolverines won or shared Big Ten titles three times, captured the 1951 Rose Bowl and earned national football championship in 1948. Football Coach of the Year in 1948.